Farm with two houses for sale in Penamacor, Castelo Branco, Portugal. With 41440 m² flat and fertile total land area, fully walled and fenced: 187 olive trees and many cork and fruit trees. Drinking water from artesian borehole and well with abundant water, with irrigation pump. The farm is located about 5 kilometers from Penamacor, in a quiet and reserved area, but with easy accesses by tarmac road. Two houses: the main house in waterproofed granite stone, totally renovated, with an implantation area of 190 m² and surrounding terrace with 250 m², comprises a large living room with 54 m², kitchen with 20 m², fitted with washing machine, dishwasher, electric oven, stove and microwave; office with 12,5 m², one suite and 2 bedrooms, all with 12,5 m²; two bathrooms with hydro massage cabin / sauna and double shower and a service WC. Divided and insulated attic with 90 m². Second house (guesthouse) with deployment area of 110 m² consisting of a fully fittet kitchen, living room, two bedrooms and a bathroom with shower. Storage room and garage for two vehicles. A quiet area in perfect harmony with nature. 2 bed apartment for sale in Alcains, Castelo Branco. Living room with access to balcony, large hall, kitchen, bathroom, two bedrooms and storage room in the attic. 2 bed apartment with 95,6 m2 gross floor area, for sale in Castelo Branco: wide livingroom with fireplace with heat recovery, balcony, fitted kitchen, two spacious bedrooms, both with built-in wardrobes and a bathroom with hydromassage bathtub. Located in a easy parking area with diverse commerce and easy access to public transportations. Includes storage room in the attic. 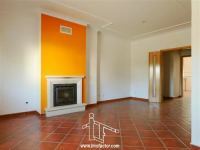 2 bed apartment for sale in Alcains, Castelo Branco, Portugal. Comprising living room with fireplace, kitchen with pantry, equipped with hob, oven, water heater and extractor fan, two bedrooms, both with fitted wardrobes and a bathroom with hydromassage bath. Storeroom in the attic. Easy parking near shops, services and recreational areas. 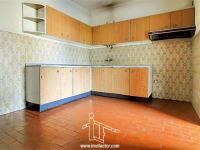 3 bed apartment for sale in Castelo Branco: kitchen with pantry and veranda, fitted with oven, hob, extractor fan and water heater; living room with fireplace, three bedrooms and two WC's. Three balconies and storage room in the attic. Two storey house for sale in Castelo Branco. Distributed by living room, kitchen, one bedroom and one bathroom on the ground floor, suite, three bedrooms and three bathrooms on the first floor, attic with an extra toilet and garage for 3 vehicles. 231 m2 gross floor living area, and 462 m2 total building. Surrounding garden with 214 m2. Shed with barbecue and recreation area. Plot area: 330 m2. Located in quiet area but with easy access and proximity to shops, public services and public transportations. Other Features: PVC blinds, central heating and air conditioning pre-installations; 3 covered porches. Apartment with six rooms to let in Castelo Branco: good location near supermarkets and several local businesses. Features and Equipment: fully furnished, fitted kitchen with washing machine, fridge, oven, hob, two fireplaces, four bedrooms, three toilets, one with Jacuzzi. Other features: central vacuum, double glazing, fitted wardrobes. Store with 105 m2 to let Castelo Branco. Located close to the city center. Ideal for offices and liberal activities. Shop to let in Castelo Branco: with two rooms and a toilet. Two fronts and good location in a shopping and services area. Shop to Let in Castelo Branco: previously explored as telecommunications shop. Good location close to the bus and train station of Castelo Branco. Easy accessible and centrally located. Store / warehouse with 170 m2 area to let in Castelo Branco. With three rooms and two toilets. Well located in trade and services area. Shop to let in Alcains county of Castelo Branco. With two rooms and toilet on the ground floor and storage area / storage room on the top floor. Centrally located close to shops and services.